Every industry tracks innovations in its field, and housing is no different. As a real estate pro, here are the need-to-know products and services promising to transform homes and your clients’ lifestyles over the next year or so. 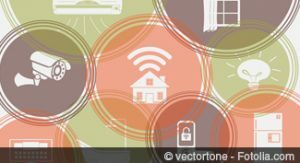 The big-picture view on housing trends in 2018 center around integrating technology and creating healthy and connected living environments. That’s why building materials, systems, and products that speak to these concerns are expected to generate greater buzz in the coming year. And with more generations living under the same roof, home-related features that provide an extra pair of hands or calming—even spiritual—influence are also being enthusiastically embraced. Here’s a sampling of coming trends that are important to understand and share with clients. What you should do: More buyers want to see listings updated to take advantage of all technological possibilities from the moment they move in. Add a home technology source to your list of trusted experts. You might even be able to offer a free first visit as a closing gift. Why now: As more homes feature bigger and more numerous windows, homeowners will naturally look for ways to pare down the energy costs, lack of privacy, and harmful ultraviolet rays that can accompany them. 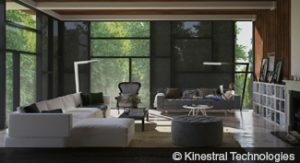 Next year, glass company Kinestral Technologies will begin offering a residential option to their line of windows and skylights. Called Halio, the technology allows users to tint glazing electronically up to 99.9 percent opacity. The company claims this can eliminate the need for blinds, shades, and curtains. “You’ll be able to tell Alexa to tint your windows, which will also provide privacy,” says Craig Henricksen, vice president of product and marketing for Halio. He notes that previously, the commercial version only offered the choice between yellow, brown, or blue casts, but that they’ll now add in an appealing gray tint to the mix. Windows come in a variety of sizes, and contractors can install the cable and low voltage system required to change the tinting. Homeowners can control the tint by voice command through an app, manual operation with switch, or with preset controls. Henricksen says Halio can save homeowners up to 40 percent off their energy bill, and that while the initial cost is around five to six times greater than similar low-E glass, the fact that traditional window treatments won’t be needed means the investment gap narrows. What you should do: This is an important option to keep in mind if buyers are unsure about big, long runs of windows in a listing. It may make sense to price out options for your particular listing to help home shoppers understand how much it might cost to retrofit the space with such technology. Why now: Homeowners have long seen their gardens as a place for quiet reflection, so choosing plants and designs that have a physical tie to spirituality is a natural next move. The trend may have started with Bible gardens, which use any number of the more than 100 plants mentioned in the Christian text to populate a restful repose. “So many are good choices because they are hardy, scented, edible, and can withstand harsh climates and environments,” says F. Nigel Hepper, with the Herbarium at the Royal Botanic Gardens in Kew, England, and author of Illustrative Encyclopedia of Biblical Plants(Inter-Varsity Press, 1992). But people of all faiths, or even those simply drawn to botanical history, can appreciate such spaces. 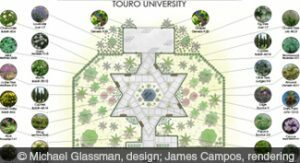 “Around for generations, they feed the body and the soul,” says landscape designer Michael Glassman, who designed such a garden in the shape of a Jewish star as a meditative spot at one of Touro University’s campuses. He filled it with mint, pomegranate trees, sage, and other plants that are mentioned in ancient religious texts. Hepper says labeling and providing detailed context to plantings can transform a miscellaneous, obscure collection into an instructive experience. What you should do: Find out if your local area has a peace garden that could provide examples of this trend. Homeowners might also find inspiration on the grounds of hospitals and assistance care facilities, which often create healing gardens for patients and family members. Why now: An emphasis on eating fresh, healthy foods may mean more frequent trips to grocery stores and farmers markets, but it could also change the architecture of our kitchens. 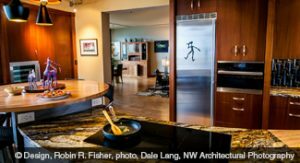 Portland, Ore.–based designer Robin Rigby Fisher says many of her higher-end clients want a refrigerator-only column to store their fresh foods, installing a freezer or freezer drawer in a separate pantry or auxiliary kitchen. 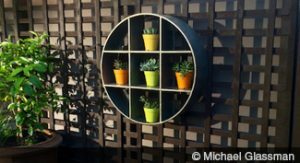 The container-gardening industry is vying for counter space with compact growing kits that often feature self-watering capabilities and grow lights. Fisher is also getting more requests for steam ovens that cook and reheat foods without stripping them of key nutrients, though she notes that these ovens can cost $4,000 and have a steeper learning curve than conventional ones. Homeowners also want to be able to use their kitchen comfortably, which means having different or variable counter heights that work for each member of the family, ample light for safe prepping, easy-to-clean countertops, and flooring that’s softer underfoot, such as cork. What you should do: Be able to point out the beneficial elements of appliances and features in your listing, such as the antimicrobial nature of surfaces like quartzite and copper. 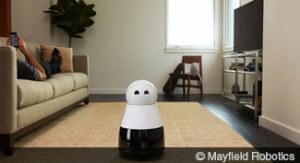 Why now: With lifestyles that seem busier by the day and many families inviting elders who require assistance to live with them, robots that can perform multiple services are gaining in popularity. IRobot’s Braava robots mop and vacuum floors, while Heykuri’s Kuri robot captures short videos of key life moments, including pets’ antics when owners are away. Some robots offer health benefits that mimic real pets, which the U.S. Centers for Disease Control and Prevention says can lower blood pressure and cholesterol, says Cini. She says Hasbro’s Joy for All line of furry robot dogs and cats can provide companionship for the elderly with dementia. What you should do: Ask buyers about pain points in their current homes that might be mitigated by these new interactive technologies. Why now: Palettes change all the time, and some feel the interest in black is a welcome contrast after years of off-whites, grays, and beiges. The hue is coming on strong in every category—appliances, plumbing fixtures, lighting, metal finishes, hardware, and soft goods, according to commercial interior designer Mary Cook of Mary Cook Associates. She appreciates black’s classic, neutral, sophisticated touch and notes it can be a universal mixer. “Black is a welcome accent in any palette,” she says. Marvin Windows and Doors launched its Designer Black line this year, incorporating a hip industrial vibe. Designer Kristie Barnett, owner of the Expert Psychological Stager training company in Nashville, loves how black mullions draw the eye out toward exterior views more efficiently than white windows can. Kohler has released its popular Numi line and Iron Works freestanding bath in black. Even MasterBrand cabinets are available in black stains and paints. For homeowners who prefer to step lightly into the trend, Chicago designer Jessica Lagrange suggests painting a door black. 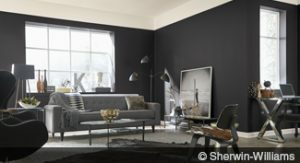 What you should do: Suggest black accents as an option for sellers looking to update their homes to appear more modern. Why now: Incorporating two airtight doors has become a popular way for homeowners to cut energy costs. The double barrier helps keep outside air from entering the main portion of the house and provides a better envelope seal. “We rarely design a house nowadays without one,” says Orren Pickell, president of Orren Pickell Building Group in Northfield, Ill. It’s not just energy homeowners save, though; Pickell says it also supports the trend of more people shopping online. “It keeps packages safer than being left in full view” because delivery services can leave them inside the first door. Homeowners will need a minimum area of five feet squared in order to make this work. Costs vary by project size but it could run homeowners as much as $10,000 to add a small space beyond a front or back door. This usually costs less in new construction or as part of a larger remodeling project, Pickell says. What you should do: If homeowners are thinking about making changes to their main entryway, be sure to alert them to this trend so they can decide if it makes sense to incorporate it. It may be expensive, but it’s not likely to go out of fashion anytime soon. Why now: As a national trend toward smaller lot sizes combines with surging interest in maximizing outdoor space, one area that’s often neglected is the side yard. But designers are beginning to pay attention, transforming these afterthoughts into aesthetically pleasing, functional places that buffer a home from neighbors, says Glassman. He suggests growing plants such as star jasmine, climbing roses, and clematis vertically along the siding or a fence. He has created a pleasant pass-through to a backyard, with meandering walkways flanked by ornamental grasses or honeysuckle. 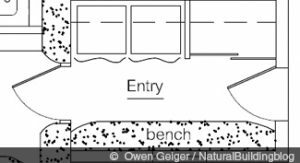 Homeowners who have extra space here might consider adding a small recirculating water feature or a tiny sitting area. What you should do: Pay special attention to side yards when evaluating a home that’s about to go up on the market. Sellers don’t need to spend much to make this space stand out, and any little thing is better than the feeling that the space has been “thrown away, since real estate is so valuable,” Glassman says. Why now: Any home owner who’s experienced a weather-related disaster, such as hurricanes, forest fires, and torrential downpours, understands the peace of mind that comes from having systems in place to help withstand Mother Nature’s worst punches. 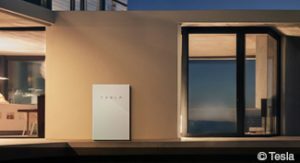 One example of this is a battery backup that integrates into a home’s electric system and operates during power outages, says architect Nathan Kipnis of Kipnis Architecture + Planning in Chicago. The backup batteries can store either electricity from the grid or renewable energy generated onsite by solar panels or other means. A key advantage is that the system doesn’t create the noise and pollution you get with an old-school generator, because it doesn’t use natural gas or diesel fuel. While they’re generally more expensive than traditional fossil fuel systems, prices do continue to drop. 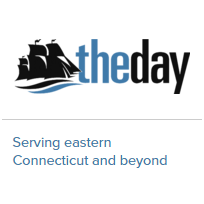 What you should do: Understand the difference between a battery backup system and a typical generator, even if you’re not working in an area that sees frequent extreme weather events. 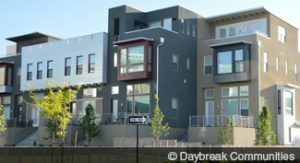 Why now: Architect Daniel Parolek, principal at Opticos Design in Berkeley, Calif., sees a solution emerging for the mismatch between demand and the housing that’s actually been delivered over the last 20 to 30 years. “Thirty percent of home buyers are single, and their numbers may swell to 75 to 85 percent by 2040, yet 90 percent of available housing is designed for families and located in single-family home neighborhoods,” he says. Parolek says builders must fill in this demand with smaller housing of 600 to 1,200 square feet, usually constructed in styles such as duplexes and cottages communities, and preferably in walkable areas. He cites Holmes Homes’ small townhouses at Daybreak in South Jordan, Utah, as an affordable transit-oriented development that follows missing middle principles. What you should do: Know where existing missing middle housing may be hiding in your community, so you can help buyers of all ages seeking smaller homes. Also, look for opportunities to invest, either for yourself or your clients, in a type of housing that will likely see more demand than supply in the coming years.